After our hike in Andrew Molera State Park we continued down Highway 1 towards home. 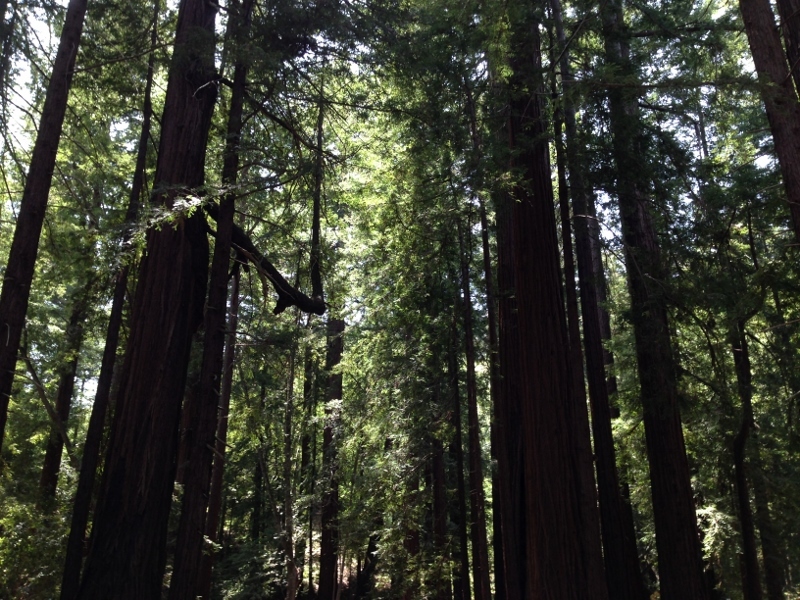 Soon we came across Pfeiffer Big Sur State Park. 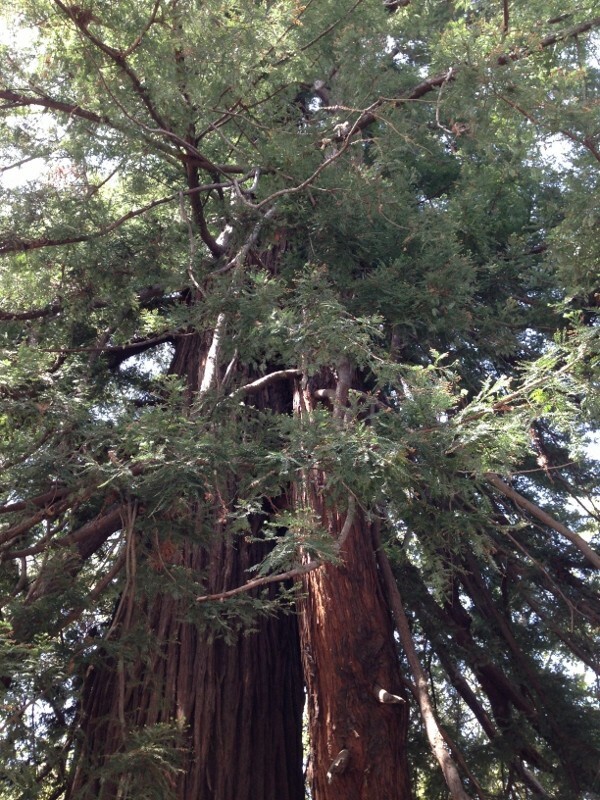 As this one was on the inland side of the highway we decided to check it out. 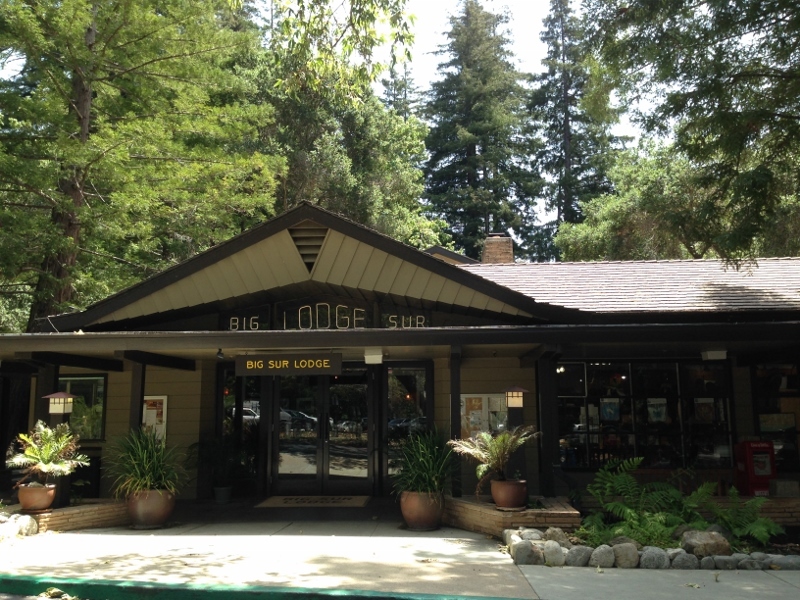 Near the entrance to the park is Big Sur Lodge. This quaint building is a actually a hotel, gift shop and restaurant. 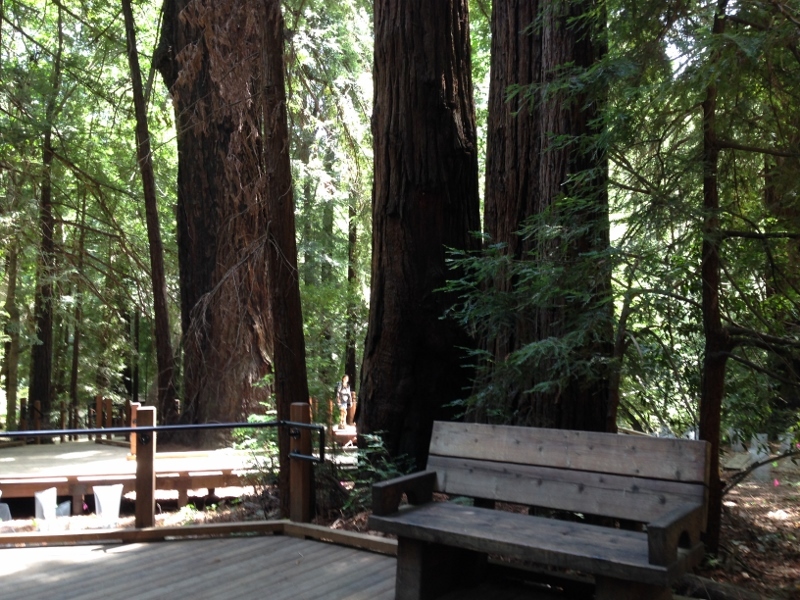 Around it is a beautiful redwood grove – a perfect spot for sitting down and admiring your surroundings. 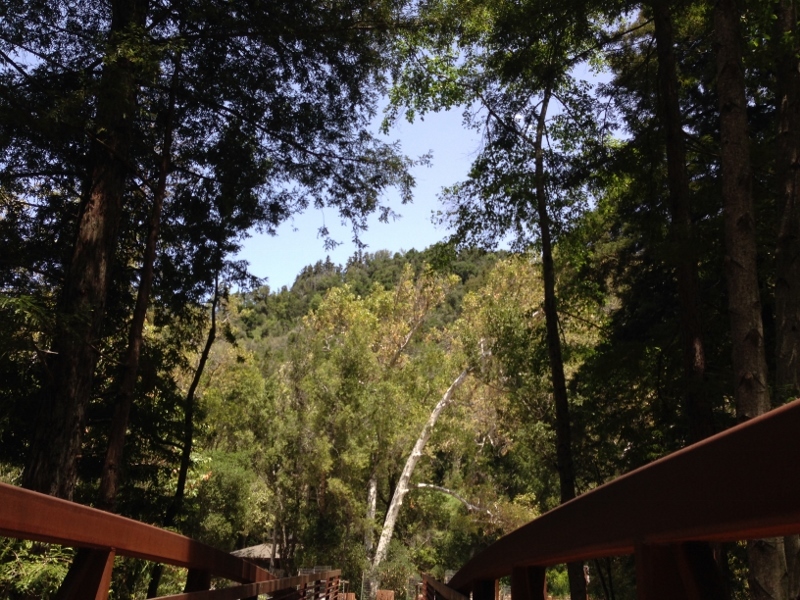 On entering the park there are trails that run through the redwoods and along the Big Sur River. After our earlier hike we were too pooped to go too far but we managed to take a quick gander. 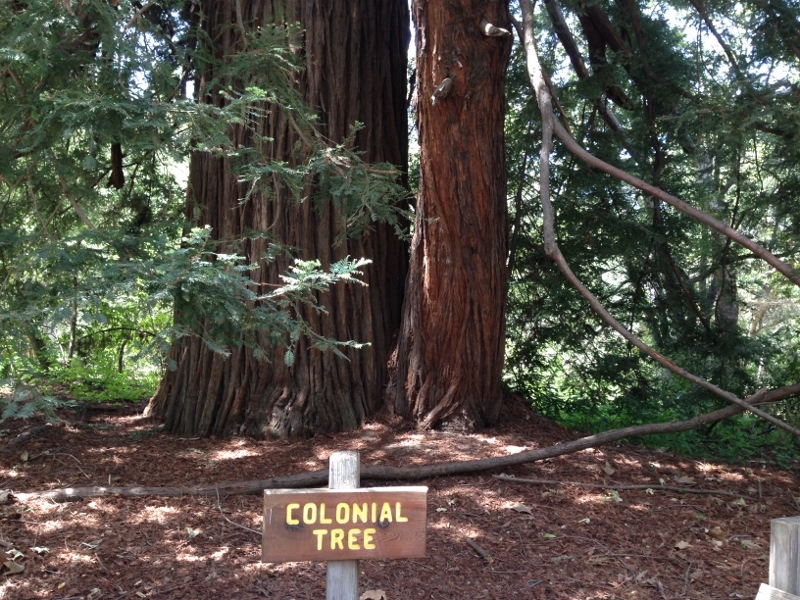 Another feature of the park is the ancient and extremely large “Colonial Tree.” This tree is over 1100 years old! 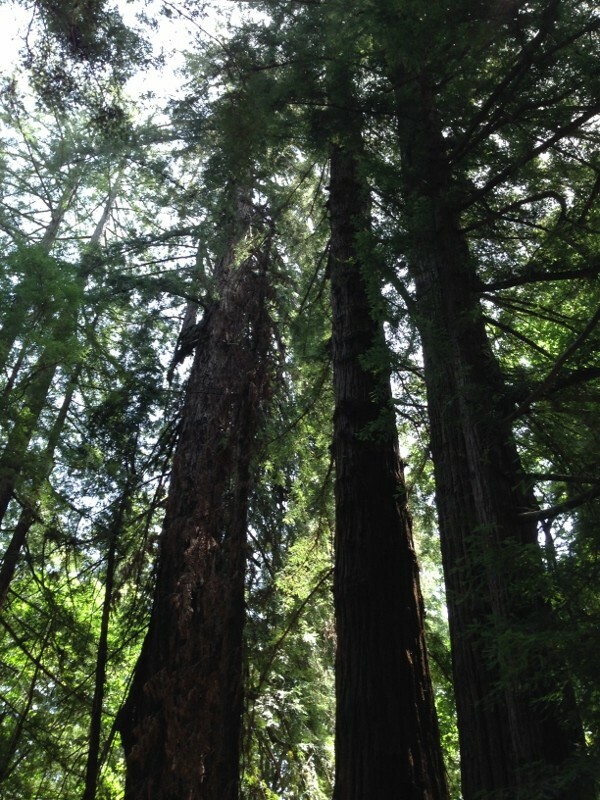 To see it in person is simply awe inspiring. And to think we just happened upon it.